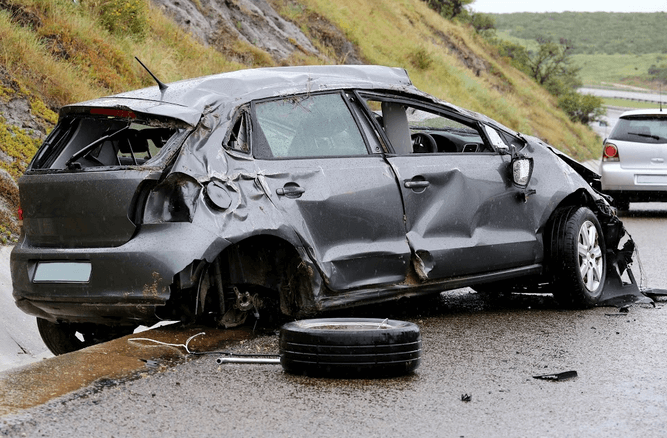 Oroville area California Highway Patrol (CHP) stated that a major area car accident happened on Saturday, January 26, 2019. The auto accident happened during the night and involved only one vehicle. The collision left one person with major injuries and another with trauma that cost him his life. The identity of the fatally injured vehicle passenger has not been reported by county officials. CHP says that they have a team of investigators looking into what may have caused this accident. My condolences are sent to those who have lost someone they care about because of this terrible car accident. CHP said that the three people were inside of a passenger vehicle on Saturday night. They were driving through a rural area of Butte County. The car was traveling on Ponderosa Way when it veered off of the road. The car went over the roadway shoulder and drove off of a 200-foot cliff. One of the three vehicle occupants was able to pry open the door of the car and make their way out of the wreck. The survivor walked to the closest house in order to get help. Police say they received a call at 9:15 a.m., several hours after the crash took place. Many different emergency response agencies helped at the scene of the crash. These included CHP, Cal Fire, Butte County Sheriff’s Office, the US Forest Service, and the Sheriff’s Search and Rescue team. Emergency staff had to rappel down the cliff to reach the crash site. When they arrived at the wreck, they found that one of the passengers had passed away. The man was sadly declared deceased on-site. The other passenger was found with major injuries. Responders called a helicopter ambulance and had the injured person flown to the Enloe Medical Center in Chico to receive treatment. Updates on his condition have not been reported. Oroville CHP Sergeant, Don Pederson, said that officials believe alcohol was a factor in the crash. However, Pederson noted that investigators do not know the extent to which it was involved. CHP says they will continue their investigation by interviewing friends and family members of those involved in the accident. Additionally, Pederson spoke to reporters about how to prevent accidents like this one. Pederson advised drivers to drive slowly and to take extra caution “on dirt roads where there’s gravel, (or) if it’s wet.” He also advised that drivers practice caution and always wear seat belts. The days after a fatal crash can be hard. Learning that your loved one passed away is often overwhelming and can cause a wide range of difficult emotions. It’s important to take time to heal after such a tragic event. However, one thing that you shouldn’t put off is contacting an attorney. Negligent parties often begin defending themselves right away. Having a lawyer start working on your case immediately helps to ensure that you recover for your damages. I’m Ed Smith, an Oroville wrongful death lawyer. If a car accident has affected you or a person that you love, get in touch with me and receive free, friendly advice. My phone numbers are (800) 404-5400 and (530) 392-9400.